Email your questions about insect identification and pest management technologies to pmpeditor@northcoastmedia.net. Your questions mostly likely will be printed and answered in one of Pest Management Professional’s upcoming columns. Q: I need your help. We have a coffee shop that has a small fly issue. 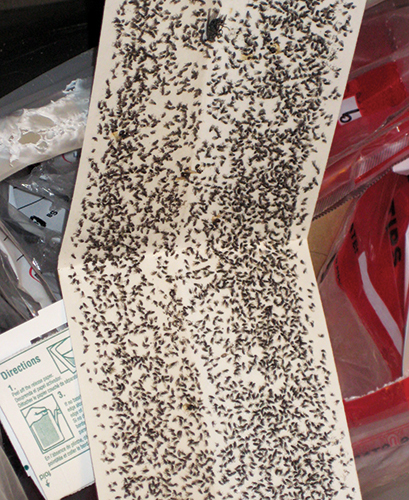 Upon inspection, we found flies all over the building — but originating under fabric cloth on the outside of the building under gravel. We have had non-stop rain since February, which in my opinion created a breeding site on the exterior of the building. 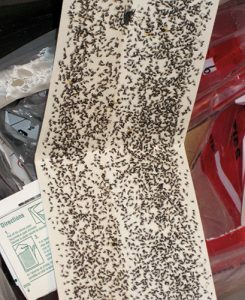 The amount of flies is literally hundreds of thousands. The weather is preventing total removal of the gravel and fabric cloth to allow for drying out, so we have treated the graveled area with product for a short-term cure. Until the rain slows down and this area dries out, though, I think we are fighting an uphill battle. I have attached photos of the fly. It is about the size of a fruit fly. I’m thinking it’s a dung fly, but I am sure you know better. What is your opinion? A: You are correct about the dung part. These are Sphaerocerids and should be called small dung flies (family Sphaeroceridae — say sfair-o-SAIR-uh-dee). We generally reserve the shorter name of “dung fly” for those fuzzy yellow flies you see on dog poop (family Scathophagidae — say skath-o-FADGE-uh-dee). The diagnostic character is that the first segment of the hind leg is short and “blocky” in Sphaerocerids. 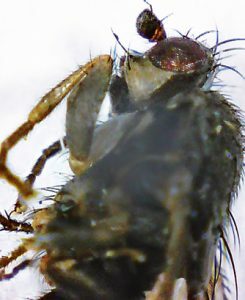 These flies are found breeding in organic matter in an advanced state of decay. Sewage, septic tanks and other equally nasty sources will bring them out in large numbers. I have seen a restaurant with Sphaerocerids that originated from a poorly installed floor drain during construction years prior. We did find some emerging on the outside of the building, but the infestation was centered under the drain on the inside of the building. The solution came when we removed a section of the slab, sucked out the contaminated fill, repaired the plumbing (and the electrical cables that were severed by the concrete saw), repacked with clean fill, and re-poured the slab. 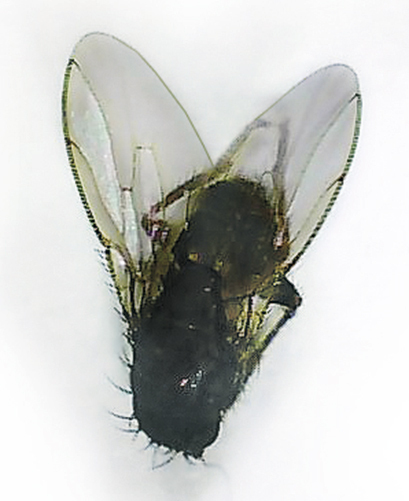 Many species of this fly are readily caught in insect light traps (ILTs). 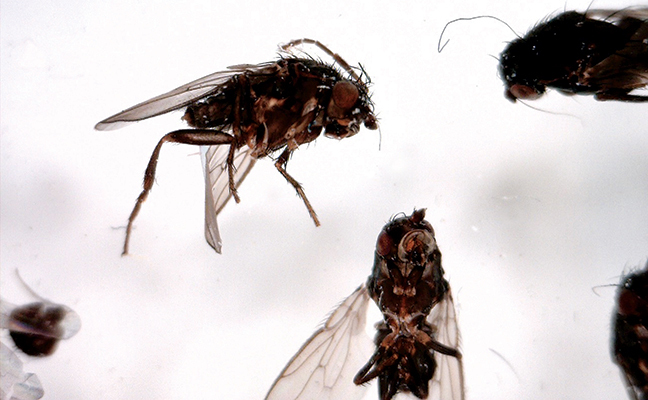 You may be able to use ILTs to accurately identify where the flies are the worst. There may be an exterior source, but it is unlikely to be caused by landscaping. You may need to follow your nose. Send us a picture of the source when you find it.